More than 62 percent of Americans believe domestic violence is a serious problem, but one-third are reluctant to discuss it. A new report from the Allstate Foundation shows the percentage of people who don't want to discuss the subject has actually increased since the last survey on the topic four years ago. 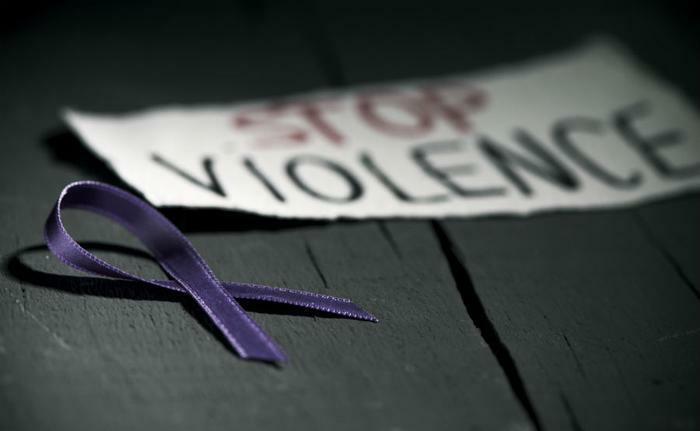 The foundation says the subject needs airing, especially in light of statistics from the National Coalition Against Domestic Violence (NCADV) which indicate that 25 percent of U.S. women have been targets of violence by an intimate partner. "Domestic violence happens every day, it doesn't discriminate and it affects every class, race and community, which is why The Allstate Foundation is committed to breaking the cycle of domestic violence," said Elaine Denslow, an Allstate agent in Washington state. "Domestic violence comes in many forms, whether that's physical, emotional, sexual, or the most common form, financial abuse." Denslow and other agents in several western states are collecting clothing and household items for survivors and have raised more than $150,000 to support domestic violence programs. The Allstate Foundation study found that 55 percent of people it questioned said they have been a domestic violence victim or knew someone who had. The study also found that not all of the abuse is physical. "Financial abuse is the most common form of domestic violence,” Denslow said. “It's an invisible weapon that often goes unnoticed, making it the leading cause of family homelessness." NCADV statistics show that women between the ages of 18 and 24 are most commonly abused by an intimate partner, but men can also be victims. In fact, the group says one in seven men have been victims of severe physical violence from an intimate partner in their lifetime. Their data indicates that 20 percent of women said they had been raped at some point. Nearly half said the perpetrator was someone they knew. The same report shows one in seven men said they had been raped,. The Mayo Clinic points out that domestic violence directed against men is not always easy to spot. It says these incidents often begin with insults and name-calling, interfering with family relationships and friendships, and fits of jealousy that escalate into physical encounters.